Garry supervises the production of scenery, properties, lighting, and sound for the UofL Theatre Arts Department. He holds an MFA from the University of Memphis and has worked locally with Stage One Family Theatre, the Kentucky Shakespeare Festival, Kentucky Opera, Louisville Ballet, and Horse Cave Theatre as well as seasons with the Merry-Go-Round Theatre (NY), and with companies from Florida to Colorado. In addition to teaching stagecraft and sound design, he serves as the Theatre Arts Director of Undergraduate Studies. Dr. Calvano explores movement-based actor training pedagogy in the classroom, as a movement coach and director within the department, and as a professional actor. She earned her PhD and MA in Theatre from the University of Colorado Boulder; and additionally, holds a BA in Fine & Performing Arts from Massachusetts College of Liberal Arts and a BA in History from the University of Maryland. Her dissertation: The Written Body: A Study of Theatre Movement Language and Pedagogy, examines the evolution of the pedagogy and language of various movement-based actor training approaches. Additional research areas of interest include: interaction with the male gaze and decontextualization of performance images, translation and adaptation studies, and mid-20th century period movement. Her most recent scholarly article titled “What are you Looking at? Complicating the Male Gaze in Fin de Siècle Cancan and Fosse’s Sweet Charity” was published in The Journal of Dance Education Spring 2018 volume. You can see her directing work onstage this upcoming spring with Theatre ’s production of Women Laughing Alone with Salad by Shelia Callaghan. Kevin D. Gawley is the scenic, lighting and projection designer for University theatre productions and selected special events. He teaches students both theory and practical application in scenic, lighting, and projection design and technology. Students have the opportunity to fully engage in the design process for five University shows per year. Their experience includes working from design concept to construction, light hang and focus, texture and paint, and technical rehearsals. Students work alongside other designers, directors and technical director, to fully implement the production on stage. In addition, Kevin maintains an ambitious design career, staying relevant in the field and garnering national recognition. Most recently, Kevin’s professional work at Lifeline Theatre in Chicago was awarded the 2017 Non-Equity Jeff Award for A Wrinkle in Time for Lighting Design. His guest design of Rabbit Hole at Taylor University earned him the 2017 Kennedy Center American College Theatre Festival National Award in Lighting Design. In addition, Kevin’s lighting design for Champaign Urbana Ballet’s Nutcracker was showcased on the cover of the 2017 Rosebrand Catalog. Over the span of his career, recognized critical acclaim includes seven additional Non-Equity Jeff Award nominations and two additional Jeff Awards for The Island of Doctor Moreau and Jane Eyre, and the After Dark Award for Strong Poison. His film credits include theatrical lighting design for Were the World Mine. Previous theatrical design and assistant design collaborations include Magik Theatre, The Goodman, Court, American Girl Productions, Lexington Children’s Theatre, Lifeline, Bailiwick, Organic, Porchlight, OperaModa, Blindfaith, Theatre on the Lake, Metropolis, Revels Chicago, Midwest Jewish, North Carolina Shakespeare Festival, and Taylor University. For 8 years, he spent summers in residence as the lighting designer for eight productions and eight different directors at the National High School Institute at Northwestern University. Kevin works to engage the local community whenever possible to broaden the UofL theatre program exposure. Kevin’s national presence, both onstage designs and as an active member of the United States Institute for Theatre Technology provides technical and design students opportunities in their field. Prior to joining the faculty at the University of Louisville, Kevin was Associate Professor at the University of Wisconsin - Eau Claire in Scenic and Lighting Design. Zhanna Goldentul is the Costume Designer for the University of Louisville Theatre Arts department. She is a member of the United Scenic Artists' Union 829 Local CD. Goldentul teaches students in Costume and Makeup Design, Sewing, Costume Construction, and Pattern Making. Zhanna’s students assist her on Main Stage productions to learn wide range of design skills. She takes a great pride of her recent graduates who work in professional fields, Academy Award winning films and TV shows. Others run World tours for singers and performing artists, and establish their own fashion companies. Before moving from Russia to the U.S., Zhanna Goldentul received her training in Costume Design from the Moscow Theatrical Arts College. After graduation she has worked in Russian Theaters, such as the Old Drama Theatre, Bolshoy Theater, the Moscow Contemporary Theatre, New Jewish Musical Group, and various Ballet Companies. Zhanna has earned her Master’s Degree at UofL, and has designed costumes in Louisville at Stage One Family Theater, and The JCC Center Stage Theater. Her recent design credits for UofL Theater Arts include: A Funny Thing Happened on the Way to the Forum, Cage Rhythm,Metamorphoses, How I Learned to Drive, Once on This Island, King Lear, and many more. Goldentul also co-wrote play adaptation of The Master and Margarita. Costume Design, Sketching and Rendering, Pattern Making, Sewing, Costume Construction, and Stage Makeup. Rachel explores the bridge between voice and movement pedagogy at UofL Theatre Arts where she teaches voice, speech, Alexander Technique, IPA, dialects, and text work. She also acts as dialect and voice coach on University productions. 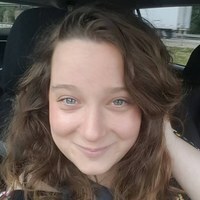 She earned her MFA in Theatre Pedagogy: Voice and Speech from the Virginia Commonwealth University, and has a teacher certification in the Alexander Technique from The American Society of the Alexander Technique (AmSAT). Rachel continues to coach individuals in dialects, character voices, and communication, and has had the opportunity to dialect coach multiple shows with Theatre  and Pandora Productions here in Louisville. Prior to joining the faculty at UofL, Rachel was in Chicago where she had the opportunity to work with a variety of schools and theaters, including Roosevelt University, School for Theatre Creators, ChiArts, and Chicago Shakespeare Theater. She is a current member of both VASTA and AmSAT. Johnny Jones earned his MFA in Creative Writing from California Institute of the Arts (CalArts), his MA in Performance Studies from New York University, and a BA in Mass Communication from the University of Arkansas-Pine Bluff. Prior to joining UofL, Johnny served as the Assistant Professor of African American Studies at Austin Peay State University. At UofL, Johnny teaches Enjoyment of Theatre, Playscript Interpretation, Performance Theory, and multiple courses in the African American Theatre Program (AATP) (e.g., Acting the Black Experience; Black Dramatic Literature; Introduction to Hip Hop Theatre; Approaching African American Theatre). Along with having served as an assistant director for AATP productions as well as directing for Studio Theatre, Johnny’s scholarly/creative focus is contemporary black culture with emphasis on performances of black masculinities in American society. An interdisciplinary creative, Johnny seeks to produce literature and performance about progressive black identities. Some of Johnny’s current publications include: “Performances of Black Radical Masculinities in American Warfare: Reconfiguring Resistance in the Body of Muhammad Ali Towards Exile” (NorMa: International Journal of Masculinity Studies ); “‘Treme’: Narrative Blackness in the Great American Cable Television Drama” (in HBO’s Treme and Post-Katrina Catharsis ). 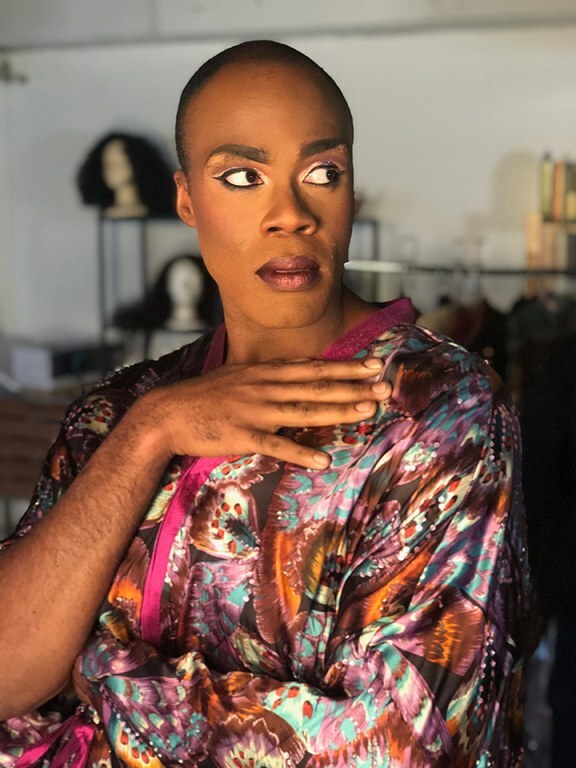 Johnny has also co-authored multiple book chapters on the portrayals of black masculinities in popular culture and reality television, and he is currently contributing work on the role of historically black colleges and universities in American theatre for the upcoming Routledge Companion to African American Theatre (2018). He is also a contributing member of the Theatre Arts-African American Theatre Program’s (AATP) playwriting initiative, “Telling Our Tales: Plays from West Louisville”, in association with the Kentucky Center for African American Heritage. Dr. Kelly is a four-time Fulbright Scholar and a member of the National Theatre Conference. He earned his PhD in Theatre from the University of Wisconsin - Madison, a diploma from London’s Royal Academy of Dramatic Art, and an MFA in Acting from California State University Long Beach. 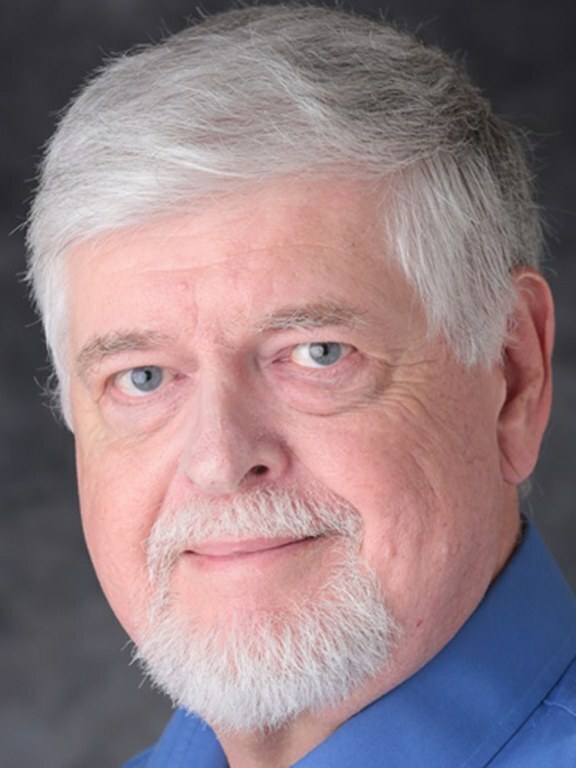 He has traveled extensively as a Cultural Specialist for the United States Bureau of Education and Cultural Affairs teaching and lecturing on the theatre in Russia; Scandinavia; Africa; Europe; London; and Asia. He has been a fellow at Harvard University’s W.E.B. Du Bois Institute for African American Research. Currently, he serves on the boards of both the Comparative Drama Conference (Editorial Board) and Stanislavsky Institute Advisory Board. Dr. Kelly has served on review panels for the NEA and Fulbright Commission. He has performed International for the National Theatre of Great Britain; Stratford Shakespeare Festival of Canada; National Theatre of Norway; Yermelova Theatre, Moscow, Russian; Constans Theatre, Athens, Greece, Academy Theatre Dublin; Edinburgh Theatre Festival; Bargello, Florence, Italy; among others. Broadway: credits include Salome and Electra. Numerous classical and contemporary roles for over 30 of America’s leading regional theatres including the Oregon, Utah, Dallas Fort Worth, and California Shakespeare Festivals; Yale Repertory; The Guthrie; Shakespeare Theatre Washington; Actors Theatre of Louisville; among others. Film and Television: A Day Without a Mexican; Bird; As The World Turns; Loving; Frazier; Law and Order; The Innocent; Majority Rule. Dr. Kelly is the co-editor of Open Cultural Studies: Special Issue on B(l) Futures - Flat Time in Black Performance. His work has been published in Theatre Journal; American Theatre; Routledge; African American National Biography; Stage Directors and Choreographers Journal; Slovo i Chas; Journal of Ukrainian Institute of Education and Science; Cambridge Scholars Publishing; Peter Lang Publishers; Journal of the institute of African Studies; among others. His book, titled "An Actor's Task: Engaging the Senses," is available from Hackett Publishing Company. Baron Kelly's website: www.baronkelly.com. Sidney Monroe (he/they series) is a community-based theatre artist whose work is situated at the intersections of race, gender and class. Through creative strategies, Sidney facilitates art-making and conversations with communities to spark dialogue, raise visibility and celebrate marginalized bodies. Sidney holds a BA in International Relations from Hendrix College and a MFA in Drama and Theatre for Youth & Communities from The University of Texas at Austin. Sidney's most recent work includes nonprofit management of Lesbian, Gay, Bisexual, Trans, and Queer (LGBTQ) youth programs (ages 14-29) in Boston, MA at The Theater Offensive. Artistically, Sidney is interested in exploring queer theory and performance methodologies as a means to building more inclusive communities within (and outside) the theatre. Sidney carries an extensive background in working with school communities. Not only has he worked a secondary theatre teacher, he also leads professional development opportunities for educators to include drama-based pedagogy into their classrooms. Geoffrey Nelson holds an M.A. in Theatre from the Ohio State University and completed all of the work for a Ph.D. except the dissertation. He also did graduate work at Indiana University. Nelson was the founder, and for twenty-six years, the Artistic Director of CATCO, a professional theatre in Columbus, Ohio, where he produced 200+ plays. He has directed nearly 100 professional productions, including The Importance of Being Earnest, The Little Foxes, The Grapes of Wrath, The Homecoming, The Exonerated, True West, Glengarry Glen Ross, Blackbird, and A Tuna Christmas. Geoff is a professional actor and longtime member of Actors Equity Association, most recently appearing in Our Town and Superior Donuts with AthensWest Theatre in Lexington. He has taught and/or served as a guest director/actor at Denison, Ohio State, Otterbein, Ohio Northern and Wittenberg Universities. Dr. Janna Segal teaches undergraduate and graduate courses in: theatre history, literature, and theory; Shakespeare and Shakespearean adaptation; American feminist theatre; and dramaturgy. She received her Ph.D. in Drama and Theatre from the UC Irvine/UC San Diego joint doctoral program, her MA in Theatre from California State University, Northridge, and her BA in Theater Arts from UC Santa Cruz. Prior to joining the UofL faculty, Dr. Segal was an Assistant Professor in the Theatre Department and in the MLitt/MFA Shakespeare and Performance program at Mary Baldwin College, and an IHUM Postdoctoral Fellow at Stanford University. She has also taught theatre history, literature and theory, Shakespeare, Chicanx theatre and film, and acting at UC Irvine, UC Riverside, and California State University, Northridge. Her dissertation, Shakespearean-Becomings: Transversal Explorations of Amorous Desire on the Shakespearean Stage, is an analysis of the transversal representation of amorous desire in Shakespeare’s theatre and its historical impact on Western cultures through critical and dramatic reconceptualizations. She has published single and co-authored works on Shakespeare’s As You Like It, A Midsummer Night’s Dream, Othello, and Romeo and Juliet; Dekker and Middleton’s The Roaring Girl; Fo and Rame’s Elisabetta; and Chekhov’s Three Sisters. Her scholarly work has appeared in such journals as SDC Journal, JEMCS, Shakespeare, and Early Modern Literary Studies, as well as in numerous anthologies, including the forthcoming Performances at Court in Shakespeare’s Era (Rowman and Littlefield, 2018) and How to Teach a Play (Bloomsbury, 2018). Dr. Segal is also a freelance dramaturg whose past production work includes Shakespeare, Shakespearean adaptation, contemporary theatre, and new plays in development. She is the Resident Dramaturg of the Comparative Drama Conference, for which she dramaturgs two to three new plays a year, and a dramaturg for ATHE’s annual New Play Development Workshop. At UofL, she has dramaturged Baltimore, Eurydice, and The Master and Margarita, and will be dramaturging the Fall 2018 production of The Taming of the Shrew. She has also worked locally as a guest dramaturg for Commonwealth Theatre Center. Dr. Segal is a member of Literary Managers and Dramaturgs of the Americas (LMDA), and she serves on the Board of the Comparative Drama Conference. Russell Vandenbroucke earned his DFA from the Yale School of Drama and has worked as a director, dramaturg, playwright, and producer at regional theatres across the country including the Yale Repertory Theatre, Mark Taper Forum in Los Angeles, Repertory Theatre of St. Louis, and Chicago’s Northlight Theatre. 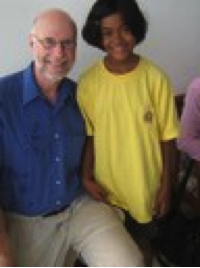 He was a Fulbright Scholar in Australia, and a Rotary Foundation World Peace Fellow in Thailand where he adapted and directed An Evening with Global Peacemakers. Plays include: Soldiers Circle, which dramatizes the lives of young American soldiers in Iraq and Afghanistan; Eleanor: In Her Own Words, adapted from the writings of Eleanor Roosevelt, recipient of an Emmy Award and broadcast on “American Playhouse” series of PBS; Atomic Bombers, which commemorated the 50th anniversary of Hiroshima, also on public radio; and School Play, inspired by the 50th anniversary of the Supreme Court’s Brown v. The Board of Education decision ending school desegregation. Books include: Truths the Hand Can Touch: The Theatre of Athol Fugard and The Theatre Quotation Book: A Treasury of Insights and Insults. He teaches courses in script analysis, applied theatre, the enjoyment of theatre, and playwriting. He is the founding director of the university’s Peace, Justice & Conflict Transformation Program. International: Vandenbroucke covered Italy’s Spoleto Festival and the National Arts Festival in Grahamstown, South Africa, for American Theatre magazine; delivered talks and presentations in Finland, Romania, and (then) East Germany for the State Department; was a Fulbright Scholar (Australia); traveled to Israel and Palestine through the Palestine American Research Center; was Rotary World Peace Fellow (Thailand); and returned to Asia to speak on engaged art, American culture, and critical thinking in Vietnam and Japan, where he also made pilgrimages to Hiroshima and Nagasaki. Blair Boyd is a Louisville native and a Graduate of the Theatre Arts Department at the University of Louisville. She received her Bachelor's of Science in Theatre Arts in 2013. Since then she has enjoyed working with Sylvan Learning and The Kentucky Center for the Performing Arts. She has also worked with local companies such as Pandora Productions and Bottoms Up! Productions. She loves to combine her passion for theatre with her love of education and the educational environment. Jessica Key is a native of Danville, KY and currently resides in Frankfort, KY. She earned her Bachelor’s degree in Communications with a minor in Music from Campbellsville University. She also earned her Master’s in Facility and Event Management from Western Kentucky University. Jessica has a passion for event coordinating, community outreach projects, volunteering and music. Charles A. Nasby received his BFA in design and production from the University of Louisville. Charles has worked as set designer, technical director, production designer, lighting designer, and as an actor for numerous productions across the globe. Charles is also the creator of Nstages and Rymes4AReason, a sustainable theatre initiative which has manifested from years of learning, designing/building and teaching in and outside the theatre. The goal of Nstages/Rhymes4AReason is to restore, reestablish and/or create spaces into art/culture/museums/theatrical performance spaces. Whether it’s designing or performing, through his Sustainable Theatre Initiative, and international cultural exchange, public and political change can occur. Melissa Kenney Shepherd is a graduate of UofL's Theatre Arts Department. She received an MFA in Performance in 2001. Currently, Melissa is the Costume Shop Manager, part- time Faculty, and serves as the costume designer for the traveling Repertory Company. She also is one of the directors for the Rep Company, where they work with existing scripts or devise their own work to travel into local elementary schools all year. The rewards of working as the Costume Shop Manager give Melissa the opportunity to guide and work with a crew of undergraduate students daily. They create all the costumes for all Main Stage and Rep Company productions and learn in an environment outside the confines of a normal classroom setting. When not at UofL, Shepherd works as a performer for local theater groups; Stage One Children’s Theater and Center Stage at the JCC. Shepherd's professional costume design credits include work for the Tampa Bay Performing Arts Center, Melodrama Musical Theatre, Center Stage, Prather Entertainment, and Argosy Entertainment. Production credits in costume design include: Oliver!, Parade, Sweeney Todd, Once on this Island, Cat on a Hot Tin Roof, Steel Magnolias, Wonderland!,A Doll’s House, Other Desert Cities, and Smokey Joe’s Café. Melony Caulder teaches online Enjoyment of Theatre classes. She received her B.A. in Speech and Theatre with a minor in Telecommunications from Fayetteville State University in May 2007, an M.F.A in Performance and Acting with a Certificate in African American Theatre from the University of Louisville in May 2010, and an M.Ed. in Adult and Continuing Education from Strayer University in June 2014. Melony has taught courses on a part-time basis in previous years at U of L and also at Kentucky State University. Zan Sawyer-Dailey teaches a graduate level acting class at U of L focused on audition technique and business protocol. She retired from Actors Theatre of Louisville in May, 2016 after 31 years as the Associate Director. Her responsibilities included coordinating artistic resources, personnel, and casting for all productions and readings; supervising departments involved in education and community outreach, professional theatre training, casting, and company management and coordinating the artistic with the administrative operations of the organization. She was a master teacher for the Apprentice Acting Company. She joined the company in 1985 and then joined the adjunct faculty of the University in the spring of 1986. She has a BA in Theatre Arts from Butler University and an MFA in Arts Administration from Florida State University. Professionally, she studied at the Central School of Drama in London, England. She is a proud member of Actors Equity Association. Billy Flood invesitgates blackness at the intersection of theatre, social change, queer theory and gender. His governing questions center on the performance of black masculinity throughout the diaspora. The embodied practice of researching these theories takes place on the stage as an active member of Actors Equity, and in the classroom via pedagogical techniques he has developed. As an academic, his work is often published by Emerson College. He has taught classes and developed curricula for the University of Louisville, University of Georgia, Spalding College, Georgia College, and the Youth Performing Arts School, to name a few. He recently partnered with the Oregon Shakespeare Festival to direct and produce the Every 28 Hour Plays, addressing state sanctioned violence against people of color in America at UofL, in 2016. He toured the continental United States, starring in musicals and has over 20 years of professional acting practice, including stage work in New York City. He also has featured roles in film, commercials and printwork. With community involvement being key to making social change, he sits on the boards of Centerstage at the Jewish Community Center and Mattingly Edge. He holds a BFA in Musical Theatre from Wright State University, and an MFA in Performance from the University of Louisville. 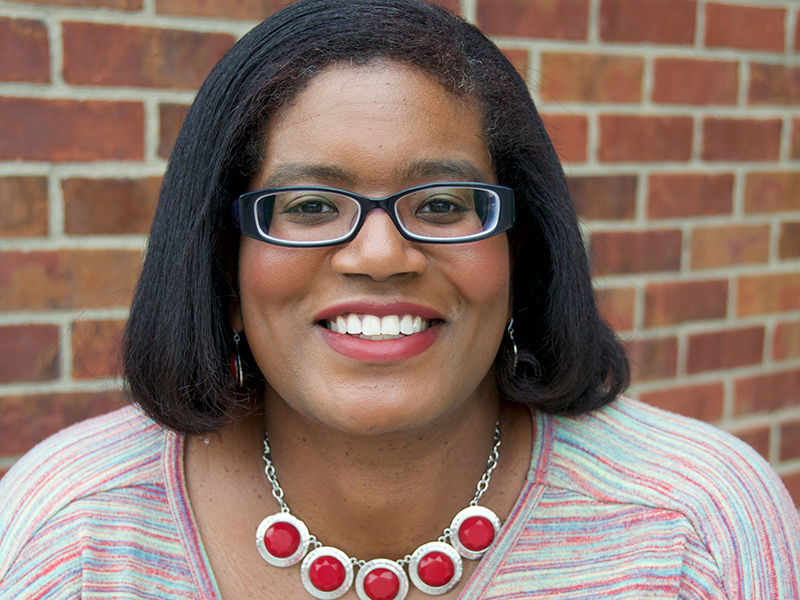 Kristi Papailler, Lecturer, received her MFA in Theatre Performance and Graduate Certificate in African American Theatre from the University of Louisville. She has the distinction of being one of fewer than 60 scholars of African American Theatre to hold a graduate certification in the genre. Kristi received training in Viewpoints and Suzuki from the Siti Company, Inc.
Ms. Papailler has taught for the University of Louisville, Georgia College, Spalding University, Central High School Magnet Career Academy, The Kentucky Shakespeare Festival, and The Youth Performing Arts School and was Chairperson of the Drama Faculty at Sacred Heart School for the Arts. She is the co-founder of Juneteenth Legacy Theatre and served as a producer and theatre educator with the company throughout its 13 seasons. She has held management positions with Actor’s Theatre of Louisville and The Kentucky Center for the Arts. She is an associate editor with the International Dialects of English Archive and the Georgia College community representative for Pedagogy and Theatre of the Oppressed, Inc. She has presented research and workshops at The Pedagogy and Theatre of the Oppressed Conference, The Southeastern Theatre Conference and The Black Theatre Network Conference. Georgia College directing credits include; The Piano Lesson, The Rally, Monster and The Ballad of Emmett Till. Other directing credits include; Juneteenth Legacy Theatre, University of Louisville Studio Theatre, Spalding University and Sacred Heart School for the Arts. Papailler’s acting experience includes; The Kentucky Repertory Theatre, The National Black Theatre Festival, Stage One Children’s Theatre, Juneteenth Legacy Theatre, Blue Apple Players, Pleiades Theatre Company for Women and Pandora Productions. She has also appeared in film, commercial and television. 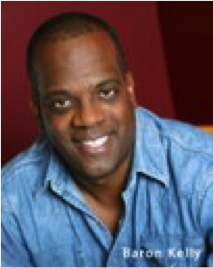 Papailler specializes in Theatre for Social Change, African American Theatre and tai chi and qi gong for actors. She is the recipient of an award from the National Endowment for the Arts ArtsWorks program for her cultural exchange work with Ayikodans of Haiti and the Symposium on Performance of the African Diaspora as Social Change, which she founded in 2016. Papailler’s social change theatre pieces have been presented in coalition with The Kentucky Alliance Against Racist and Political Oppression, Jobs with Justice, Women in Transition, Nativity Academy at St. Boniface, Sacred Heart School for the Arts and Juneteenth Legacy Theatre. International field research and creative work includes field studies on Afro-Cuban culture and performance, Haitian dance, theatre and literature, Chinese performance and it’s African influence, and tai chi and assistant direction of the international premiere of The Orphan’s Revenge in Singapore, Singapore. Kristi’s research interests include; theatre of the African diaspora, Haitian performance and literature, theatre for social change and tai chi and qi gong for actors. She is the creator of Healing Heart qi gong for actors and Drama Change Exchange. Courses for the University include; African American Women in Theatre and History of African American Theatre. Carol has been teaching courses in theatre and the humanities for the past ten years, including classes in Acting, Voice, Radio Drama, Theatre History, Performance Theory, Script Analysis, Creativity in the Arts, Shakespeare, and Prison Theatre. An award-winning audiobook narrator with twenty years experience in the studio, Carol has recorded over 300 titles for the Talking Book Program of the National Library Service (a division of the Library of Congress) as well as full-length and abridged texts for commercial audiobook publishers. Carol earned her BFA at the Goodman School of Drama and an MA at the University of Louisville; she is currently a doctoral candidate in Interdisciplinary Humanities at UofL. She has trained with New York’s SITI Company. Her areas of research and artistic practice are focused on the training and creative experience of the actor; SITI Company training and productions; devised theatre; Shakespeare in translation; and Shakespeare with non-traditional artists, including the incarcerated and the aging. She is one of the conference organizers for Stage the Future, an international conference on science fiction and theatre, and is co-producer of Parallax, a new science fiction theatre festival in Louisville. She is co-artistic director of Here There Be Monsters & Co.
Nefertiti Burton holds an MFA in Directing from the University of Massachusetts-Amherst and a Research Certificate in Media/Arts Program Development from The Massachusetts Institute of Technology. Her teaching, directing, writing, and storytelling focus on the experiences of people of the African Diaspora. Burton has performed and directed in regional theatre and off-Broadway as well as in international venues including: Adelaide, Australia; Beijing China; and Grahamstown, South Africa. Her professional work has been acknowledged with an American Scene Award and an Audelco. Five of her plays focusing on Yoruba traditional beliefs have toured the Kentucky public schools. Burton has led study abroad tours to South Africa, Senegal, China and Cuba. She is a recipient of the UofL Presidential Exemplary Multicultural Teaching Award and was recently awarded a Fulbright for research and study of International Education in France and Germany. Rinda Frye holds a Ph.D. in theatre from University of Oregon and is a member of VASTA (the Voice and Speech Trainers Association) and an associate editor for IDEA, the International Dialects of English Archive. Bert Harris was the founding Chair of the Department of Theatre Arts and Speech at the University of Louisville. He founded the UofL Repertory Company in 1976, and served as its Artistic Director for thirty years. Michael F. Hottois was the Production Designer for the UofL Theatre Department and has designed for most of the theatres in the area. He was a scenic artist in the films Boris and Natasha and Closetland, and Soul of the Game for HBO. He is a member of the United Scenic Artists Union, Local 829. Lundeana Thomas was a theatre professor and the director of the African American Theatre Program. She was president of the Black Theatre Network and one of the founders of the Black Theatre Association for the Association of Theatre in High Education. James Tompkins graduated from the Lecoq School and taught movement courses at UofL. During his tenure in the Theatre Arts Department, he directed Loot, Metamorphoses, and As You Like It, and served as the Director of Graduate Studies.